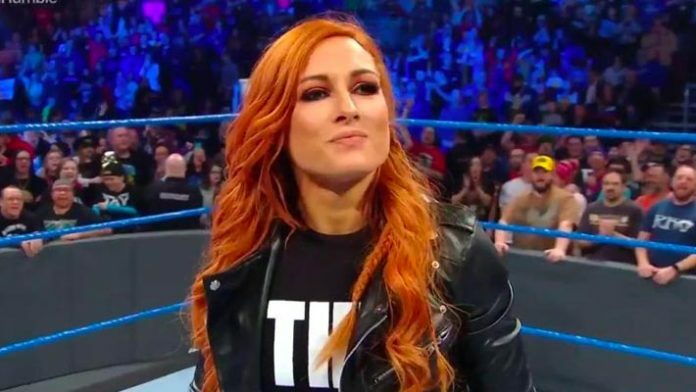 2019 Women's Royal Rumble winner Becky Lynch has reportedly been offered a new contract with WWE. It looks like WWE wants to keep “The Man” around for a long time. Pro Wrestling Sheet is reporting that the company has offered Lynch a new multi-year contract that includes a pay raise. Lynch is expected to sign the new deal fairly soon. This comes after it was announced earlier today (Mon. March 25, 2019) that Lynch will be part of a historic WrestleMania main event. Lynch, Charlotte Flair, and RAW Women’s Champion Ronda Rousey will all be part of the first-ever women’s match to main event a WrestleMania pay-per-view (PPV). The highly-anticipated bout takes place at WrestleMania 35 next month. Becky Lynch has been part of WWE since 2013, when she joined the company’s NXT developmental brand. She made here main roster debut in July 2015. Lynch has become, arguably, WWE’s biggest star over the past year. She really got over with fans when she attacked Charlotte Flair at SummerSlam. Lynch followed-up with a SmackDown Live Women’s Title win at Hell In A Cell. Also, Lynch won January’s Women’s Royal Rumble match to punch her ticket to WrestleMania. Now, she hopes to win the first-ever women’s match to main event a WrestleMania show by toppling both Flair and Rousey. WrestleMania 35 goes down from MetLife Stadium in East Rutherford, New Jersey on Sunday, April 7, 2019. What do you think about WWE offering Lynch a new deal?